Thank you for taking the time to visit our recruitment page. We believe in recruiting for the right attitudes and training for exact skills. 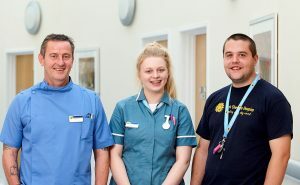 The nature of the care we provide to patients, carers and families is specialised and at East Cheshire Hospice, operates at a exceptionally high standard. We can only hope to maintain that standard through a caring, compassionate and well motivated workforce. Income generation specialists including corporate/CSR fundraising, community fundraising, Hospice-owned fundraising, legacies management, lottery management, merchandising and retail development.